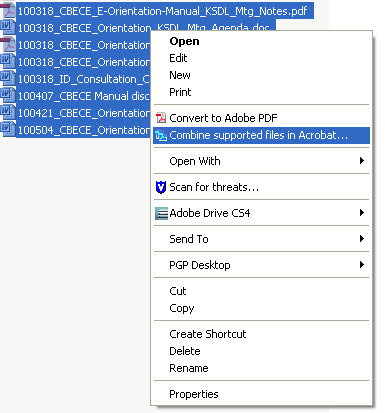 Right-click and select "Combine supported files in Acrobat"
In the box that pops up, select your file size (large, default or small) in the lower right corner. 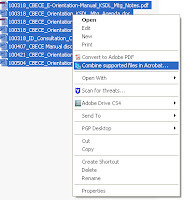 If necessary, Adobe Acrobat will automatically create PDF files for all supported formats and combine all files in one PDF file. 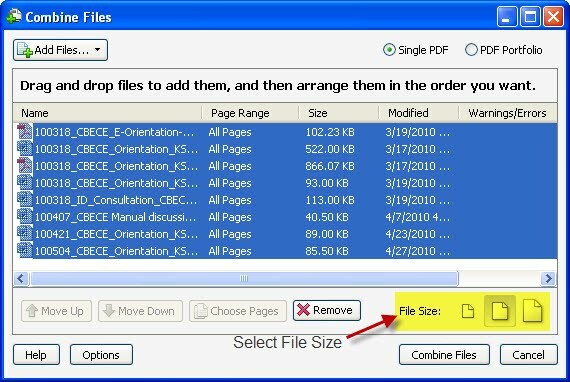 By default, it will also add bookmarks for each file. This way is alot easier than doing it manually.